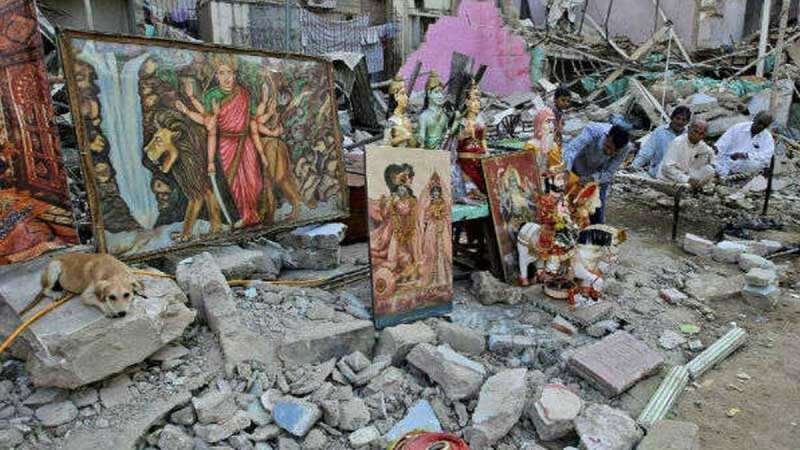 Peshawar : A Hindu temple has been vandalised in Pakistan's southern sindh province after miscreants burnt holy books and idols placed inside the building. According to a report by Samaa TV, the temple has been situated in Kumb, a town in Khairpur district of Sindh province. The miscreants, reportedly, entered the temple premises at around 6 PM on Sunday and set fire to the idols and three holy books, including Bhagwat Geeta and Guru Granth Sahib. All the miscreants are at large. An FIR against the unidentified men has been registered. According to the TV report, the cops have recovered some finger prints from the window of the temple, following which three suspects have been nabbed by the police officials. Hindu community has however not received any kind of threat from anyone.